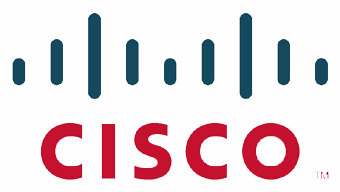 Dubai, UAE – According to the 11th annual Cisco Visual Networking Index™ (VNI) Complete Forecast for 2015 to 2020, global IP traffic will nearly triple at a compound annual growth rate (CAGR) of 22 percent over the next five years. The Middle East and Africa (MEA) region will see a 6-fold growth in IP traffic, which is the highest at a compound annual growth rate (CAGR) of 41 percent by 2020. More than one billion new Internet users are expected to join the global Internet community, growing from three billion in 2015 to 4.1 billion by 2020. The MEA region will see 445 million new Internet users by 2020 at a CAGR of 10.8 percent. The global digitization transformation, based on the adoption of personal devices and deployment of machine-to-machine (M2M) connections will have an even greater impact on traffic growth. Over the next five years, global IP networks will support up to 10 billion new devices and connections, increasing from 16.3 billion in 2015 to 26.3 billion by 2020. There are projected to be 3.4 devices and connections per capita by 2020–up from 2.2 per capita in 2015. Video services and content continue to be the dominant leader compared with all other applications. Internet video will account for 79 percent of global Internet traffic by 2020–up from 63 percent in 2015. The world will reach three trillion Internet video minutes per month by 2020, which is five million years of video per month, or about one million video minutes every second. HD and Ultra HD Internet video will make up 82 percent of Internet video traffic by 2020–up from 53 percent in 2015. In Middle East and Africa, Internet video traffic will grow 8-fold from 2015 to 2020, a compound annual growth rate of 52%. This means that for MEA 169 billion minutes (321,793 years) of video content will cross the Internet each month in 2020. That’s 64,359 minutes of video streamed or downloaded every second. Advancements in the Internet of Things (IoT) are continuing to drive IP traffic and tangible growth in the market. Applications such as video surveillance, smart meters, digital health monitors and a host of other M2M services are creating new network requirements and incremental traffic increases. Globally, M2M connections are calculated to grow nearly three-fold from 4.9 billion in 2015 to 12.2 billion by 2020, representing nearly half (46 percent) of total connected devices. The connected health consumer segment will have the fastest growth (five-fold) of M2M connections from 2015 (144 million) to 2020 (729 million). The connected home segment will have the largest volume of M2M connections over the forecast period with 2.4 billion in 2015, growing to 5.8 billion by 2020–nearly half of all M2M connections. With the growing dependence on mobile and fixed broadband networks, security concerns are increasingly becoming top of mind for service providers, governments, businesses and consumers. For the first time in this forecast, Cisco collaborated with Arbor Networks to help quantify the current and future threats of DDoS (Distributed Denial of Service) attacks. The new DDoS analysis suggests that these types of breaches can represent up to 10 percent of a country’s total Internet traffic while they are occurring. Over the next five years, DDoS attacks are projected to increase from 6.6 million to 17 million attacks. These initial findings underscore the need for more comprehensive security measures to protect data and reduce network exposure to such risks. By 2020, 21 percent of IP traffic will be generated by PC’s (vs 67 percent in 2015), 4 percent by TVs, 60 percent by smartphones (up from 20 percent in 2015), 12 percent by tablets, 2.4 percent by M2M modules. Average fixed broadband speed will grow 2.4 -fold from 2015 to 2020, from 7 Mbps to 16.5 Mbps. Average mobile connection speed will grow 6-fold and will reach 5 Mbps by 2020. Between 2014-2015, average fixed broadband speed grew 15%.